Being a huge fan of Benefit blush boxes, it's been a while since i've branched out and tried any other brands or any other types of blushes for that matter. 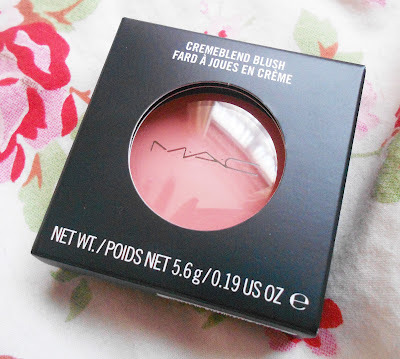 I've always used powder, so when I came across cremeblend brushes on various beauty vlogs, I thought it would be a perfect opportunity to expand my horizons and explore other brands and other types of blushes. I've been really into coral lately, as i've been trying to add some warmth to my pale complexion this summer. 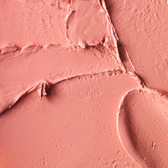 I chose a light coral shade called 'Something Special', which would actually suit all skin tones, not just porcelain. As you can see, it's a really pretty light colour, and is a sort of mixture between coral and pink. which is perfect for everyday wear. 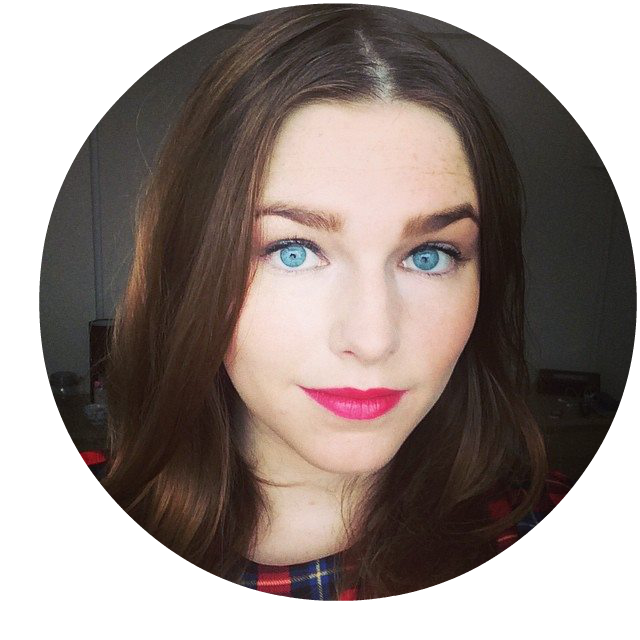 This gorgeous colour can actually be pretty strong, so I thought i'd show you before and after blending. I tried to blend it out gradually to show different degrees of colour strength, and for me personally I prefer a more subtle hint of colour. The creamy texture is quite odd as i'm so used to powders, but I find that creme blush is so much easier and there's no excess powder to tap off. 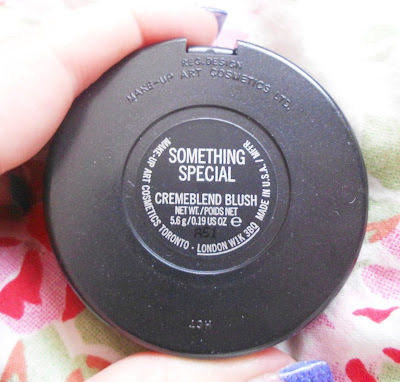 It gives a healthy, dewy finish as oppose to the matte finish a powder blush gives. 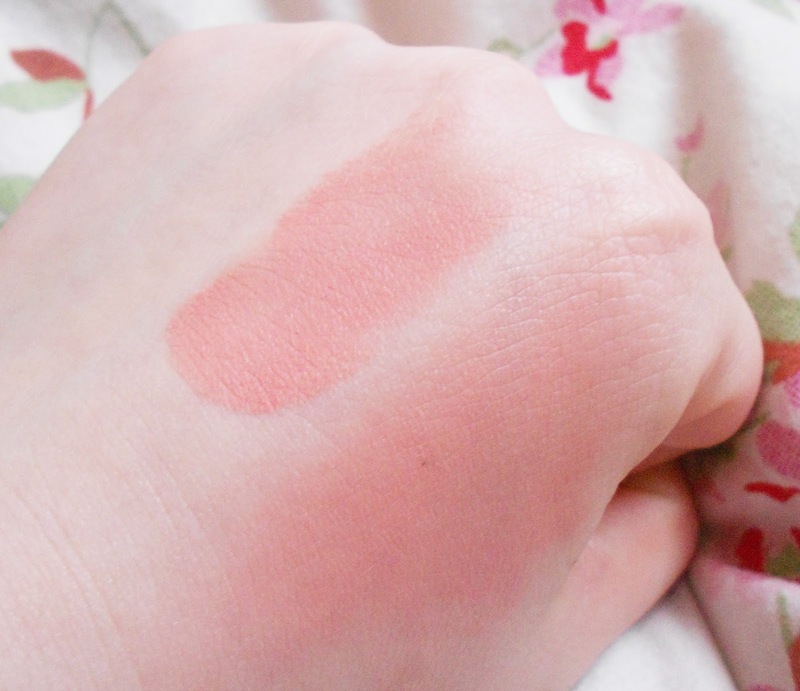 The top of the swatch i've layered the blush to show how easily the colour can be built, and unlike powder it can be applied with your fingers (However, it is recommended that you use a good blush brush!). The swatch provided by MAC definitely does the shade justice. I also found that because the colour is so strong in the pan that you don't need a lot to add a nice pop of colour to your cheeks, so at £19 it will last you such a long time. I've been wearing this with: Hoola bronzing powder from Benefit, and paired with Benefits Cha Cha Tint underneath MAC's cremesheen lipstick in 'Shy Girl'. I'm still in love with my Benefit box blushes, but i'm definitely going to be expanding my cremeblush collection. What i'm really tempted to splurge on is a MAC Pro Blush Palette which can store 6 of your chosen pans of blush (Priced at £14.50 each without the individual casing) in a gorgeous black slimline case for easy storage! For some reason I love the idea of having a palette that you specifically choose what shades go inside, as I always find there's always one or two pans in a palette that remain unused!